The survey is now closed, unfortunately. Good luck to all those who applied. The vast majority of companies use some form of market research to communicate with their customers and ask them what they want. Google is no different, but this latest attempt is pretty cool: the company is asking for Android developers to fill in a form describing their experience with the operating system. 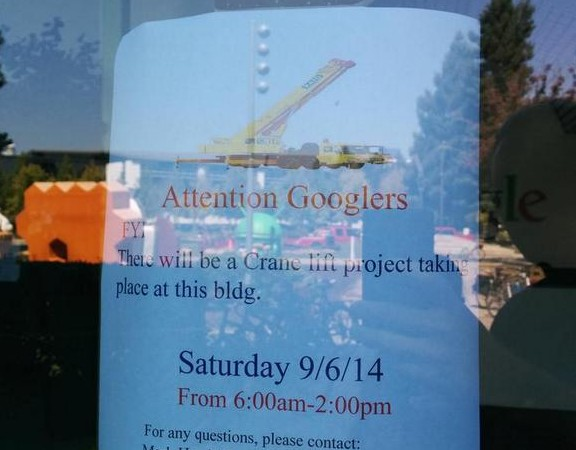 Google will then choose a few select applicants to go to Mountain View to discuss their thoughts on Android development. The form asks interested devs to list their apps and what categories said apps are in, if they develop for Android for a living, and how long they been 'with Android.' Google says "Your participation will directly impact our product roadmap and plans for 2017," so the chosen few may be pretty influential on Android development and everything that encompasses. Probably the biggest event on the Android calendar is Google I/O, and it's just around the corner, running from the 18th of May to the 20th. This year's event will be held at the Shoreline Amphitheater in Mountain View, where the first Google I/O event took place in 2008, rather than the usual Moscone Center in San Francisco. There has been much speculation as to what this will look like. 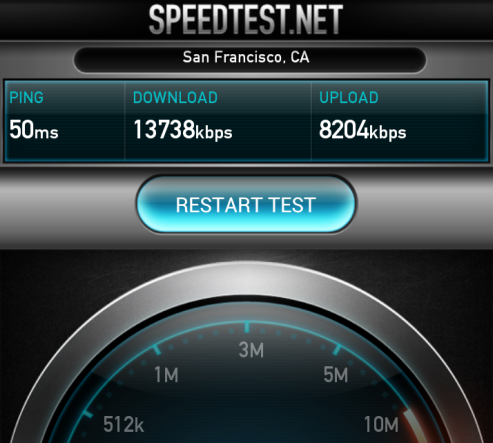 This is, after all, relatively new territory for the company. But thanks to a custom map released by Google, and built using Google Maps' MyMaps feature, we now have an idea. 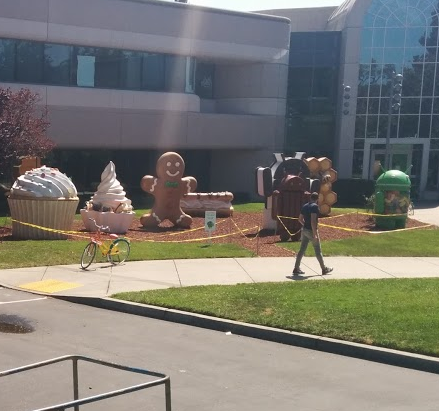 For Android fans, Google's corporate head quarters in Mountain View has taken on the mythical status of Willy Wonka's chocolate factory. But for all the cool stuff that comes out of it, the Googleplex is essentially just a collection of big office buildings, no more or less interesting than any of the wide office parks in that part of California. Google is preparing to build a new campus, and its current proposal to the city council shows off a series of buildings that aren't quite like anything else in the world. 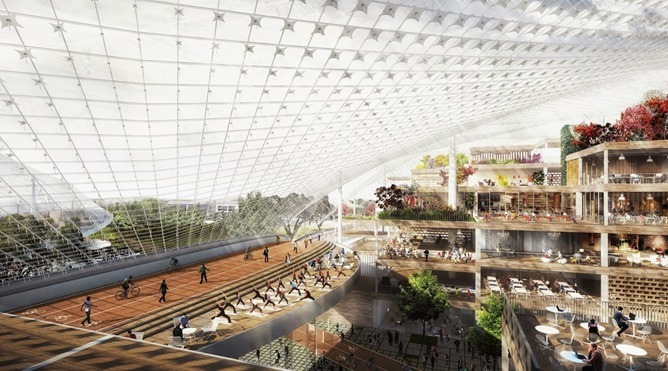 The most striking part of the proposal is the huge translucent covering that wraps around the Google spaces, creating an effect somewhere between an enormous circus tent and greenhouse. Of course, this sighting sparked a variety of rumors - after all, it would only be natural to assume that any work requiring a crane lift involved a new statue being installed, which would mean we'd finally find out the name of the L release. Lemon Meringue Pie, as the LMP abbreviations have been suggesting, Lollipop, or something else?.. Unfortunately, it looks like we're going to have to wait for the truth a bit longer, as the crane lift project was completed, and the end result was the statues were just moved around a bit, reports local Mountain View developer Thomas Devaux. If the imminent announcement of ICS and the Galaxy Nexus isn't enough to sizzle your circuits, here's another little tidbit coming down from Mountain View. 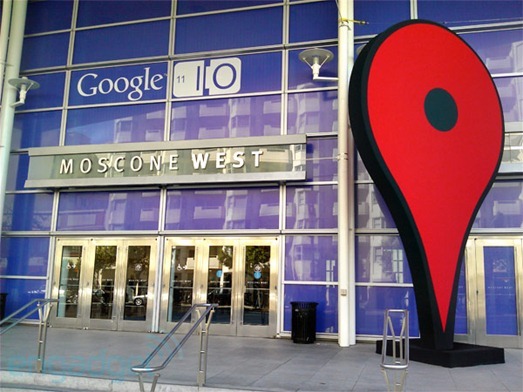 The date and location for Google I/O 2012 has been set in stone. 1 million or more developers, as well as journalists and lucky Google enthusiasts, will converge on Moscone Center West in San Francisco on April 24 and 25. I/O has become a Mecca of sorts for tech fans, where gifts of tech from the not-too-distant future are bestowed on all, such as last year's special version of the Galaxy Tab 10.1. As such, a ticket to get in the door is a hard thing to come by, and Google usually gets pretty creative with giving them away, holding developer contests and the like. Who needs to visit Disneyland to feel like a kid again? 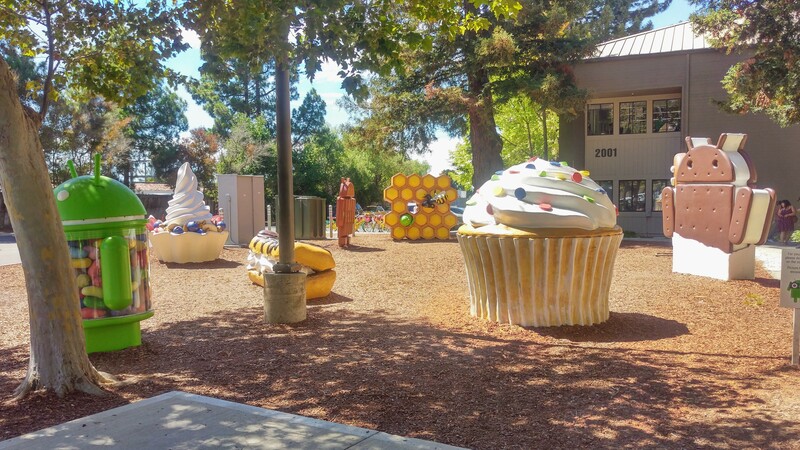 Google's collection of dessert statues that correspond to their Android releases has a new addition today, in the Honeycomb statue. Less than a week later, we give you (drumroll, please): THE HONEYCOMB. What's that? You aren't satisified with a still shot? 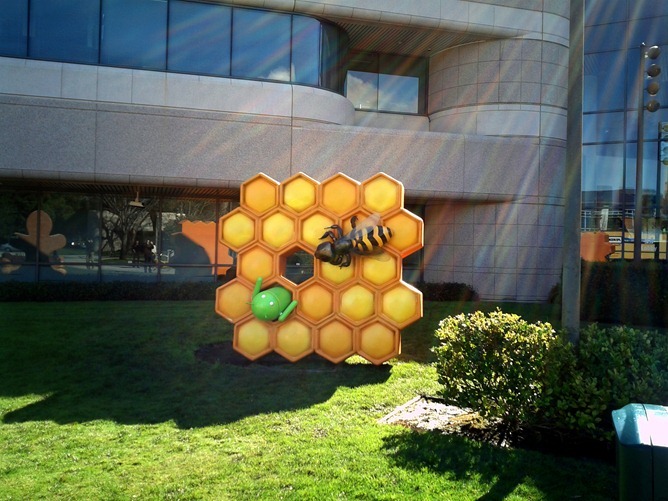 Check out: VIDEO OF THE HONEYCOMB. Families, you can proceed to change your vacation itinerary from Anaheim to Mountain View, as Google's kingdom just got a little bit more magical.